If you want to create your ideal family or lead a group of friends who live together in a luxurious villa, then you have a lot to choose from with The Sims 4. Building on the success of the first three components, he placed greater emphasis on emotions. Indeed, Electronic Arts wanted to develop a facet of its license until now little used. 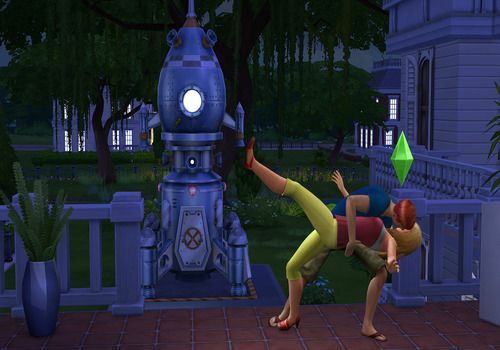 In this way, the Sims will have a wider range of emotions and feelings and each feeling will favour a particular action. For example, a depressed sim will have a better ability to write or paint. The house building tool has also been revised and is much easier to use, satisfying the wildest ideas in terms of creating a living space. Expected to be released in 2014, The Sims 4 is to be discovered in the official trailer video unveiled by Electronic Arts. The ultimate helicopter game with superb graphics and effects. You will have the chance to fly the most advanced helicopters on the planet.